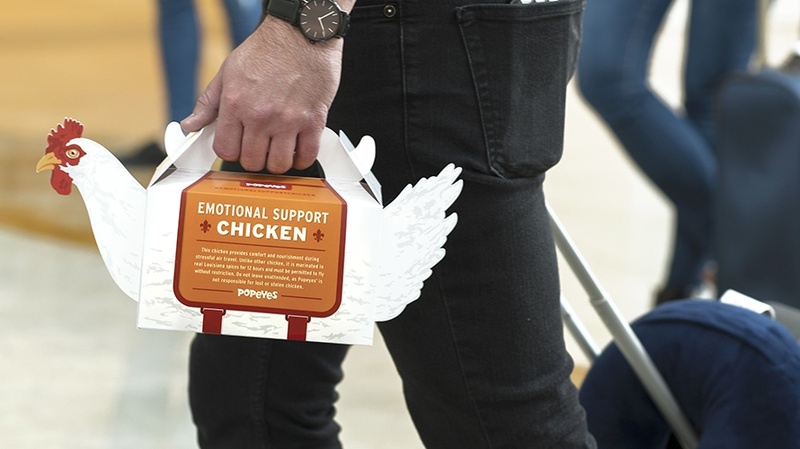 Relax your soul and annoy your rowmates with this box of emotionally supportive fried chicken. 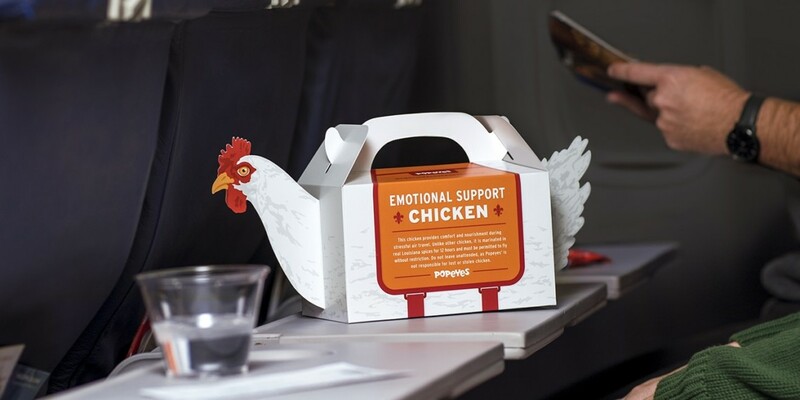 There have been a lot of questions in the news lately about emotional support animals being allowed on flights. Should they be limited to certain breeds? Should they be certified? But no one has stopped to ask: Should they be deep fried? 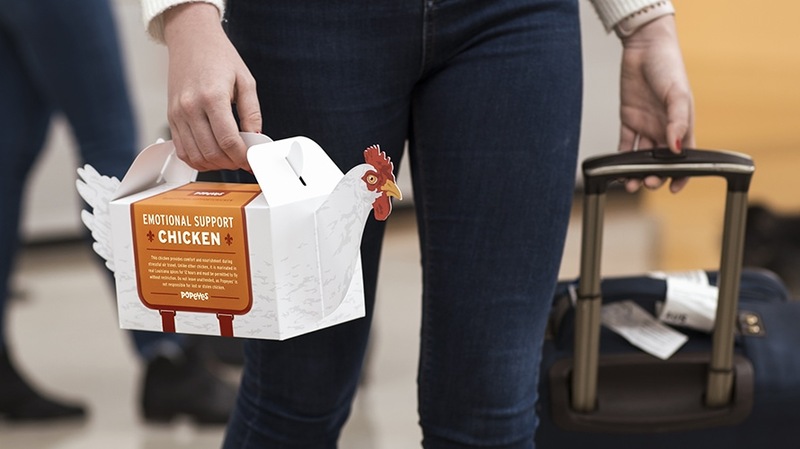 Popeyes Louisiana Kitchen has answered anyway, and now you can pick up an “Emotional Support Chicken” box if you happen to be flying this holiday season via Terminal C at Philadelphia International Airport. 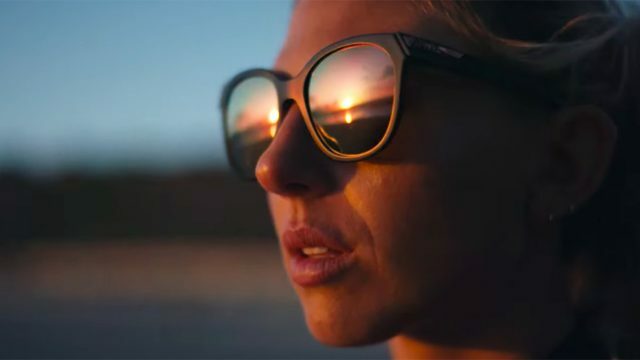 The brand admits it’s poking some fun at the recent news around emotional support animals, which some see as an anxiety-reducing boon while others see as taking advantage of a loophole to bring just about any animal on board an airplane without transporting them through the official channels. As of today, Delta is no longer allowing puppies and kittens as emotional support animals on flights, nor are animals of any age allowed on flights longer than 8 hours. This comes after a reported 84 percent increase in negative incidents—biting, peeing, etc.—involving emotional support or service animals on Delta flights in 2017 compared to 2016.